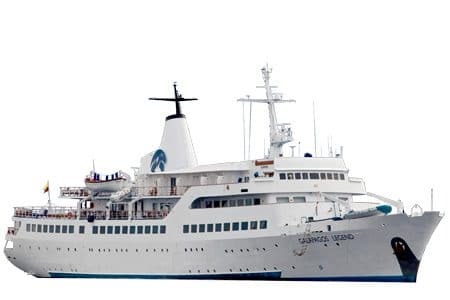 Leading excellence by Galapagos standards with SOLAS certification, the Legend Galapagos Ship is a feature-rich vessel looking to rewrite the conventional formalisms and etiquette when cruising in a luxury ship. A fully personalized experience setting the perfect environment for guests to enjoy the islands up close and personal, without setting aside quality services and modern facilities. Its 5 decks carry an array of services from a pool, gym, medical station, internet booths and much more. Activities will include snorkeling, hiking, kayaking and cruising specific areas on a glass bottom boat for an immersive sea life experience. Itineraries have been carefully put together, offering a great variety in locations and length. 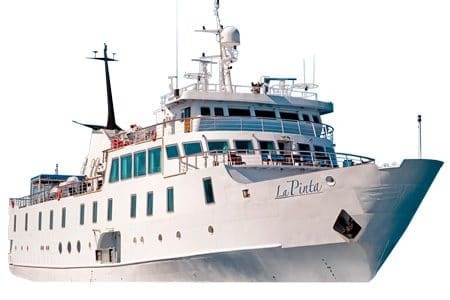 La Pinta Galapagos Ship provides exquisite accommodation in a mid-sized vessel, massive floor to ceiling windows with breathtaking panoramic views to appreciate the archipelago in all its glory. 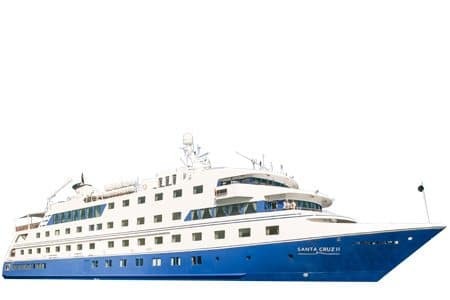 48 guests will embark on a trip of a lifetime, discovering the Galapagos islands with comprehensive programs and modern facilities like no other ship can. Extensive common lounge areas are available for guests entertainment or leisure; a bow observation deck, fitness gym center, jacuzzi, glass bottom boat, kayaks, large sun decks with sun loungers, spacious interior lounge areas, among many other onboard services. Every detail aboard La Pinta Galapagos Ship has been carefully designed to maximize guests enjoyment during their stay. 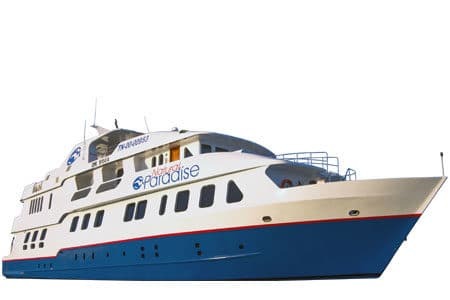 Arguably among the largest cabins available for vessels cruising the islands. A specialized naturalist guide with a welcoming crew and their close attention to detail make La Pinta an ideal ship for a wide variety of guests. 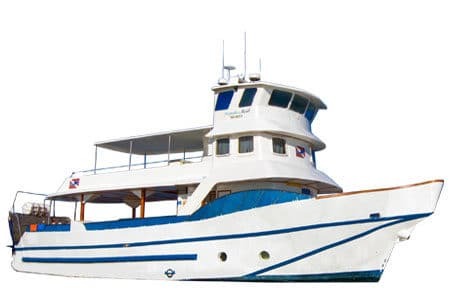 The Floreana Galapagos Yacht stands out from other yachts in its category offering itineraries that run for eight days only, an itinerary method usually only found in higher classes. Their extensive loops cover the north-west featuring Genovesa and Fernandina, and the south loop including the famous islands; Floreana and Espanola. 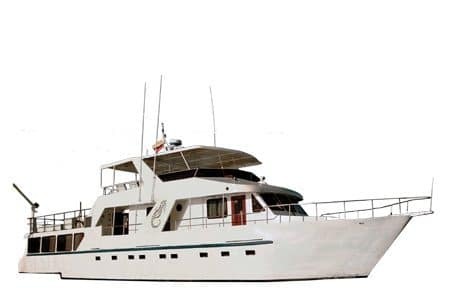 An excellent approach for those looking to cruise the islands in a modern yet affordable yacht. 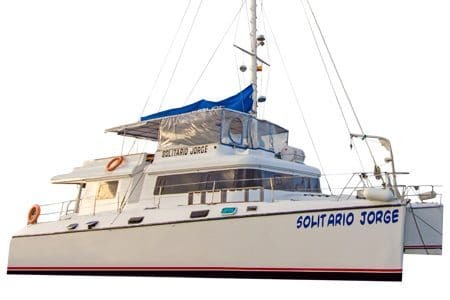 With eight double cabins, Floreana can accommodate up to 16 passengers in bunk-beds. An ample sundeck and lounge areas offer its guests comfortable reading spaces or lounge areas to enjoy the scenic surroundings.